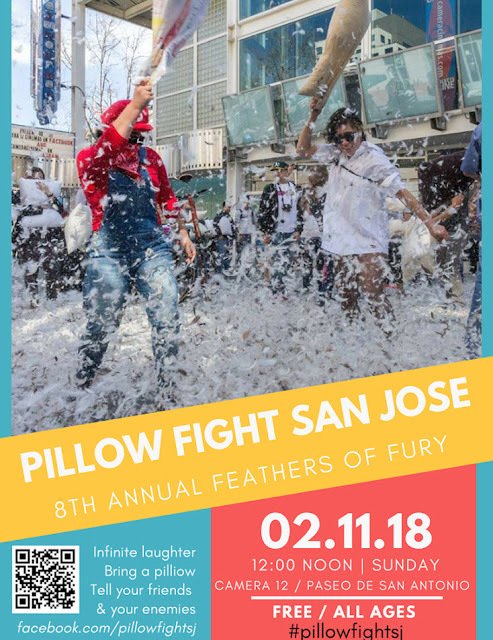 Feathers O' Fury: The 8th Annual Pillow Fight in Downtown SJ will be held this Sunday, Feb 22nd at noon. This year, the location is Paseo de San Antonio in front of the Old Camera 12 at 12pm. This is a free event that is a lot of fun (and way more tiring than you would expect). For rules and photos from previous events, hit one of the links below!